K12reader offers printable worksheet activities for several different themes, including Black History Month, Civil Rights, Christmas, Valentine’s Day, and Thanksgiving. We plan to expand this section to include more themes so check back periodically. 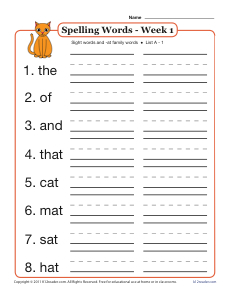 Worksheets are free to duplicate for classroom and home use. Here you’ll find worksheets about civil rights and black history month. Activities include crossword puzzles, a writing prompt, a reading comprehension activity about Booker T. Washington and more. Activities include reading passages and questions about Martin Luther King Jr. and Rosa Parks, a personal narrative activity, word searches, word scramble activity, a fun guess who activity, and more. Here you’ll find Christmas worksheet activities, including Christmas writing paper, a rhyme worksheet, candy cane maze, ornament word search, reading passage activity and more! Activities include Valentine’s themed writing paper, a fun noun and verb activity, word search activity, a poetry writing worksheet, word prompt, a fun Edgar Allan Poe riddle activity and more. Here you’ll find several fun and educational activities, including a Thanksgiving writing prompt, reading passages and questions, themed grammar worksheet, a fun word search and more!